via Bioengineers Build Open Source Language for Programming Cells | Wired Enterprise | Wired.com. Like finally seeing all the gears of a watch and how they work together, researchers from UCLA and UC Berkeley have, for the first time ever, solved the puzzle of how the various components of an entire telomerase enzyme complex fit together and function in a three-dimensional structure. 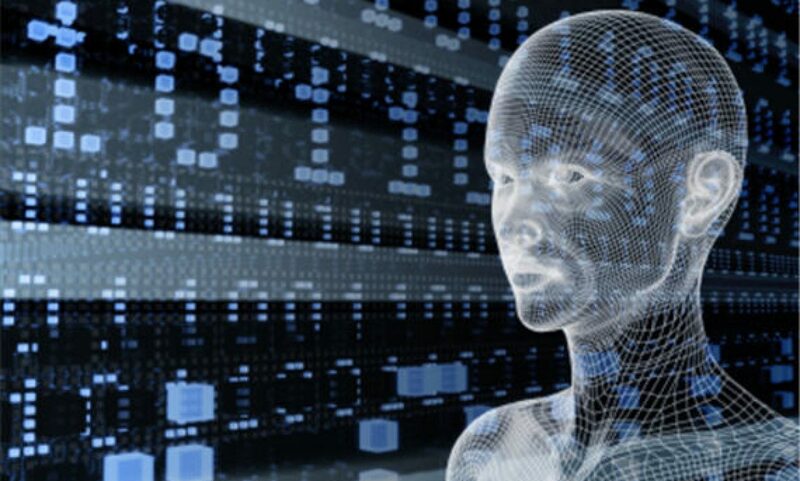 via BBC News – Scientists ‘read dreams’ using brain scans. In 2002 the Center for Disease Control estimated that autism affected about 1 in 150 children. By 2012 the CDC estimate had increased to 1 in 88. Now, according to the latest revision of the estimate recently released, autism affects 1 in 50 children. That’s a phenomenal 300 percent increase in 11 years. But do the numbers reflect a real increase in the incidence of autism or are previously undiagnosed cases now being diagnosed? The authors of the study tend to think it’s the latter, but others question whether the increase can be explained entirely by wider diagnoses. In recent decades there has been a consistent increase in the reported prevalence of autism. Two National Health Interview Surveys, national telephone surveys conducted by the CDC, showed prevalence to increase almost four-fold between a 1997 – 1999 survey and a 2006 – 2008 survey. Concurrently, the CDC’s Autism and Developmental Disabilities Monitoring Network showed a 78 percent increase in autism spectrum disorder (ASD), that includes all variants of disease related to autism, between 2002 and 2008.
via Autism Rate Rises To 1 In 50 Children – Cause Still A Mystery | Singularity Hub. 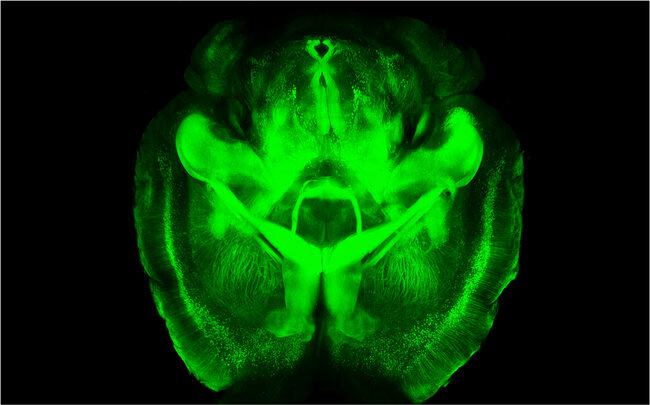 Scientists at Stanford University reported on Wednesday that they have made a whole mouse brain, and part of a human brain, transparent, so that networks of neurons that receive and send information can be highlighted in stunning color and viewed in all their three-dimensional complexity without slicing up the organ. 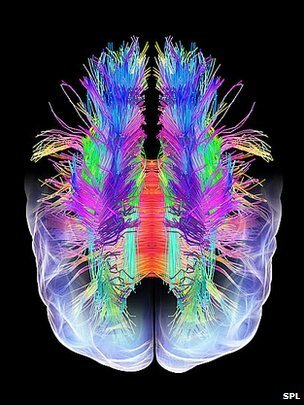 A three-dimensional rendering of a “clarified” brain, as seen from below. via Brains as Clear as Jell-O for Scientists to Explore – NYTimes.com. 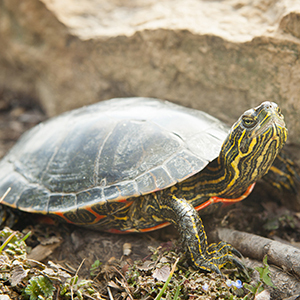 Understanding the natural mechanisms turtles use to protect the heart and brain from oxygen deprivation may one day improve treatments for heart attacks or strokes, the researchers say. Both can lead to severe disability or death within minutes in patients deprived of oxygen. Turtles have evolved slowly, a new study confirms. Decoding the genome of the western painted turtle reveals new clues to turtles’ longevity and the ability to survive without oxygen during long winters. via Painted turtle gets DNA decoded | Newsroom | Washington University in St. Louis.